News provided by Samsung Electronics Co., Ltd.
LAS VEGAS, U.S.--(Korea Newswire) January 05, 2017 -- Samsung Electronics Co. Ltd. today unveiled a collaboration with Under Armour, the innovative and revolutionary sports apparel brand, to offer authentic fitness experience across a suite of Samsung wearable devices by combining Samsung’s industry-leading mobile technology with Under Armour’s connected fitness expertise. Whether users are tracking nutrition, daily workouts, running routes or simply seeking a digital personal trainer for added motivation, this best-in-class collaboration will keep users on top of their personal goals. Under Armour, the originator of performance footwear, apparel and equipment, revolutionized how athletes across the world dress. Designed to make all athletes better, the brand‘s innovative products are sold worldwide to athletes at all levels. 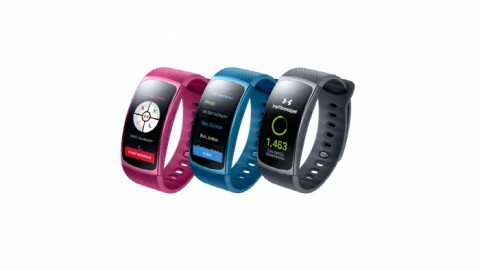 The Under Armour Connected Fitness® platform powers the world’s largest digital health and fitness community through a suite of applications: UA Record™, MapMyFitness®, Endomondo™ and MyFitnessPal®. The Under Armour global headquarters is in Baltimore, Maryland. For further information, please visit the Company's website at www.uabiz.com. All releases from Samsung Electronics Co., Ltd.